Hi friends!! 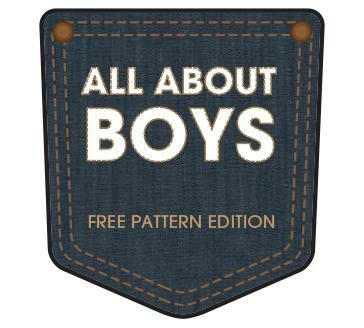 Welcome to Day 4 of All About Boys! I hope you've been inspired so far, and I hope the next couple of days bring loads more for you! 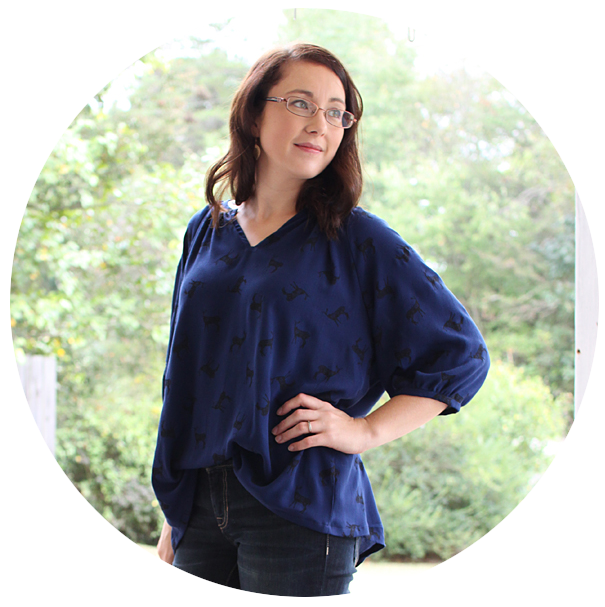 Brooke & April are working on some fun posts today that are positively overflowing with ideas! 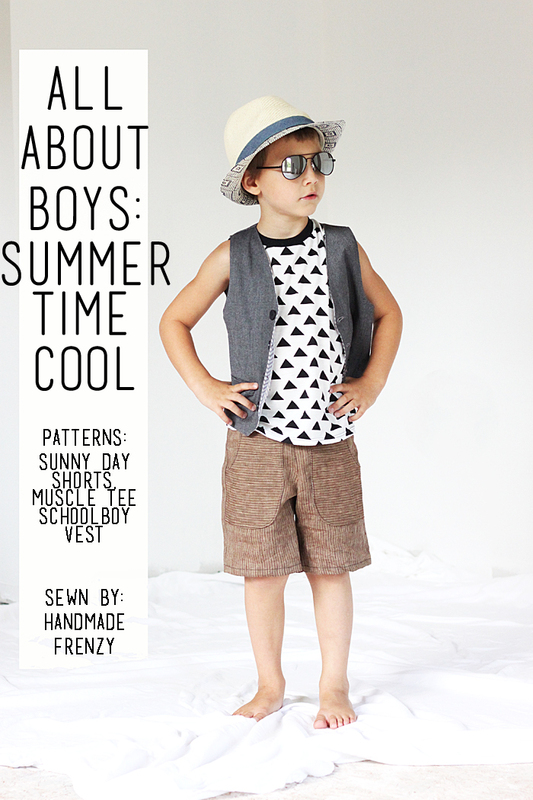 As for me, I sewed up another outfit ;) My boy was in desperate need of shorts and muscle tees so I couldn't help it. I have a bit of an obsession with all things b&w lately, so when this outfit idea popped in my head I couldn't go without bringing it to life. 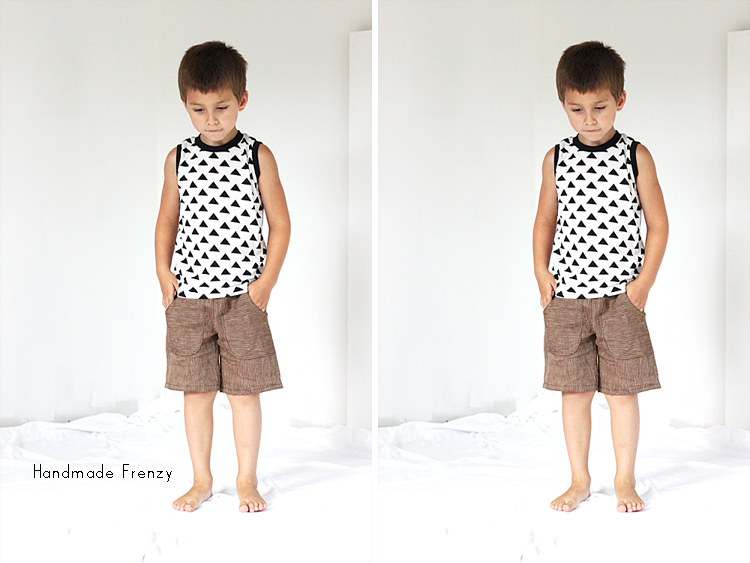 For this outfit, I sewed the Muscle Tee version of Dana's Basic Tee. I sewed it exactly as is, except that I added about 1 1/2" to the length. 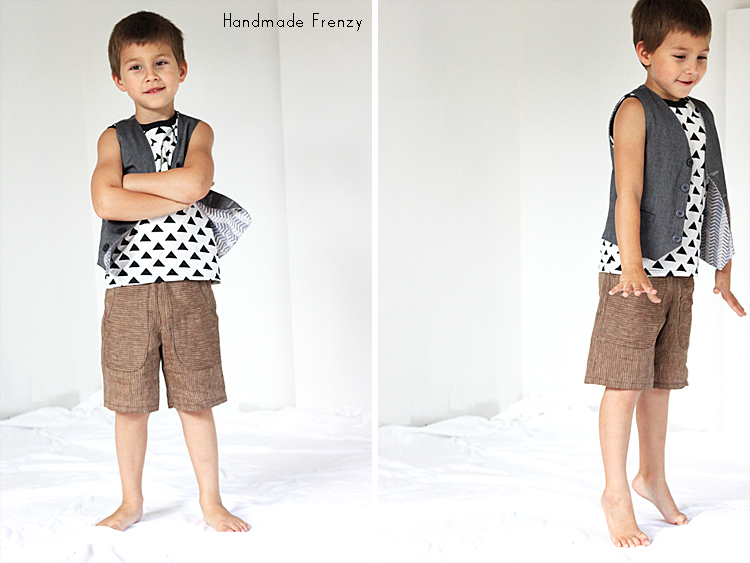 The shorts are the same as his first ones, I sewed a size 4 and added 2 1/2" to the length. I also grabbed the pocket pattern from Dana's Kid Pants pattern and added those for interest. Pretty much adore how they turned out. They are made in a pinstripe linen from Joann Stores. The fabric for the tee is from Girl Charlee, they no longer have this colorway but there are a few more still available. And for an AMAZING price!! The gray and red is fab and Brooke made the most adorable hoodie out of it for her cutie pie, Oliver. That hoodie is how I discovered her blog! And I'm so glad I did, because she has become a fabulous friend! 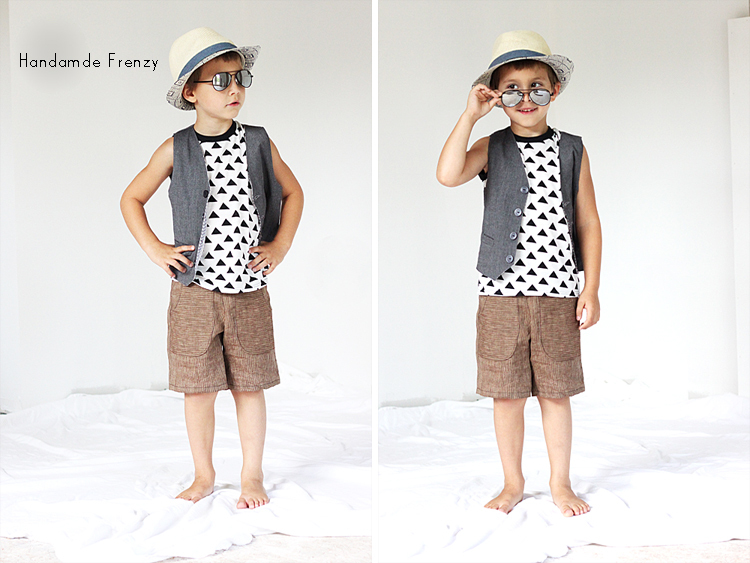 The vest is the Schoolboy vest I made for E for this past Easter (blogged here). I am so thrilled how it takes on a completely different look with this outfit compared to that one. So fun and bonus points for versatility!! Don't forget to show us outfits made inspired by this series by using the hashtag #allaboutboystheseries!! All of us (Erin, April, Brooke & myself) hang out on Instagram all the time. So join us! These shorts are a favorite of mine. Most definitely! 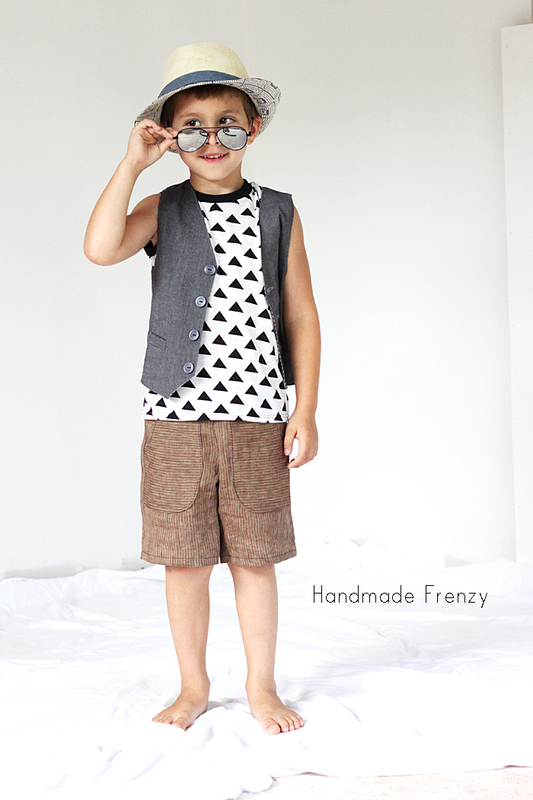 And the tank and vest are so cute with it!! It is a cool outfit indeed! He is so cute in this photoshoot! Love his personality. And I didn't know the triangles were what brought us together...aww that makes me happy :) I too am loving those shorts btw. That pinstripe linen is great!